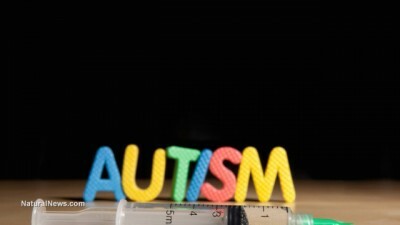 The UK is facing an unprecedented number of new autism cases, according to new research. Figures in Scotland, which are among the most comprehensive available in the British isles, reveal that the autism rate among students at Scottish schools is up 1,360% percent since 1998, with no perceivable end in sight. This amounts to a one-in-68 children rate of autism, which the London School of Economics projects is costing taxpayers around $54 billion annually. This is up from about $2 billion in 2001, demonstrating the immense toll this harrowing disease is costing the public. But even these figures may be too low, warns Age of Autism, as they disguise the actual number of autism cases among older students, while focusing more on autism rates among younger students. The actual present rate of autism in the UK, reports John Stone, is probably much closer to one in 30 students, based on data supplied by the Scottish government. Aside from an anomalous reduction in ASD cases between 2005 and 2006, you can clearly see that the autism rate in Scotland has simply exploded, much like it has in the U.S. and other Western nations over the past several decades. One would think that health authorities and lawmakers would take note of this and start addressing some of the elephants in the room, including the ever-expanding vaccination schedule. But instead, they remain silent as the financial burden of treating these damaged children escalates into financial territory so unsustainable that government health systems now face total collapse. The same study that procured these figures for the UK found that the situation is far worse in the U.S. Between the costs associated with treating both children and adults with ASD — more than 3.5 million Americans, both young and old, have been diagnosed with ASD — taxpayers and insurance companies spend huge amounts to treat autistic individuals with or without intellectual disability. This translates into a total cost of $7 trillion to treat every person with autism in the U.S. over the course of his or her lifetime. And this is just at the current autism rate — over the next several decades, as many as one in two children are expected to have autism, which portends a complete collapse of the healthcare system.